This unique and highly ornate wood and adobe structure is one of San Diego’s most important and notable historic buildings. 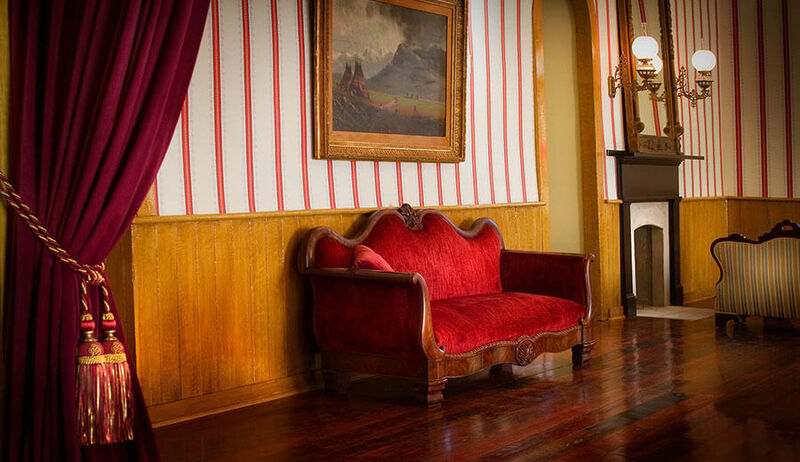 The building was originally constructed as the one-story adobe home of Juan Bandini, one of the area’s original settlers, and later converted to a two-story hotel. 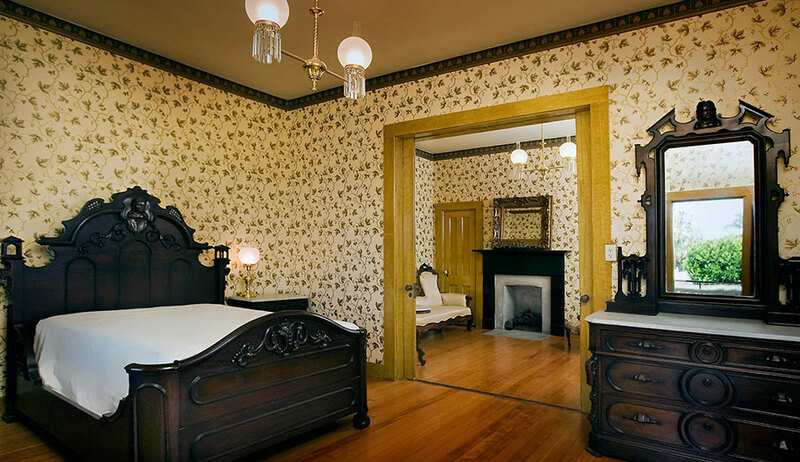 The Bandini House is a registered State Historic Landmark (No. 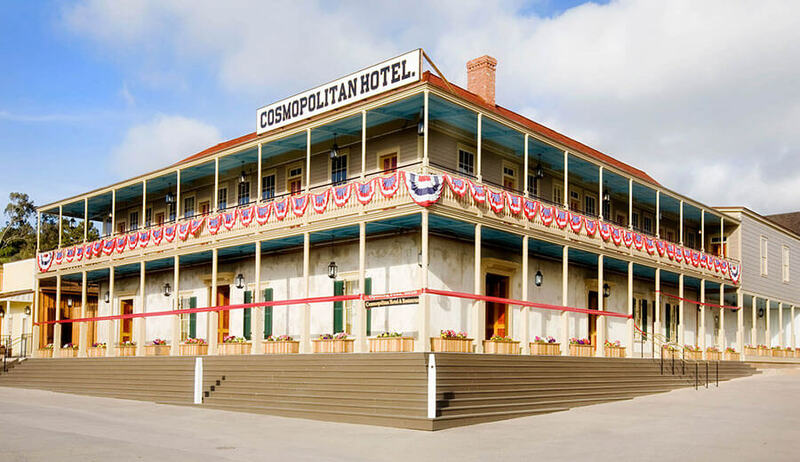 72) and a contributing structure to the Old Town San Diego State historic park. This building is located on its original site at the southeast corner of the plaza at Old Town San Diego at the intersection of Calhoun and Mason Streets. 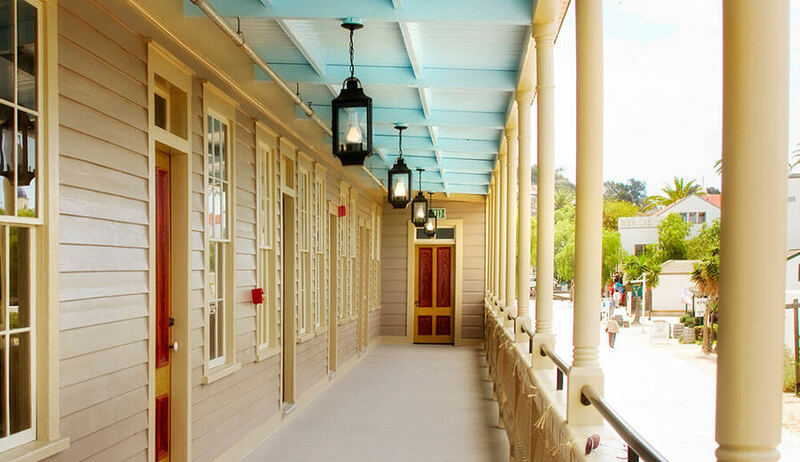 The project scope restored the building façade to its original 1880’s luster, which included wood repair/reconstruction of the historic porch columns and balustrades, reconstruction of the historic roof form, front stair reconstruction, wood repair and painting. 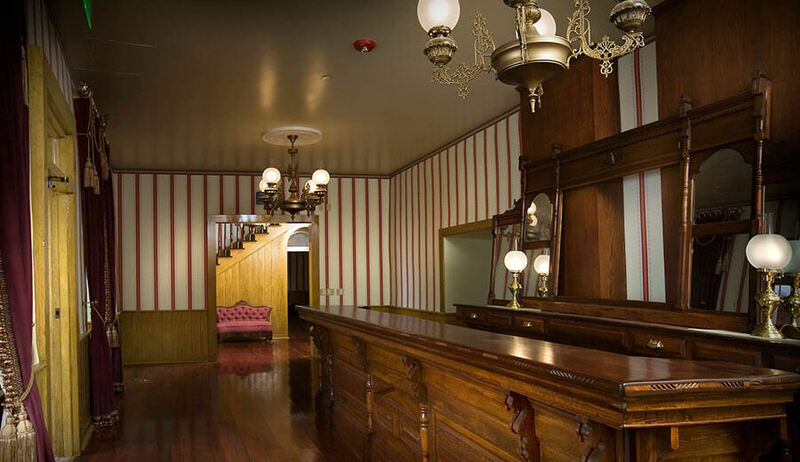 The interior of the building was restored and also included the removal of all non-historic finishes, wood floor restoration, installation of period lighting, and installation of period finishes including wallpaper, trim, wood wainscot and paint. An existing non-historic kitchen was removed and the interior was restored to represent the period of significance. 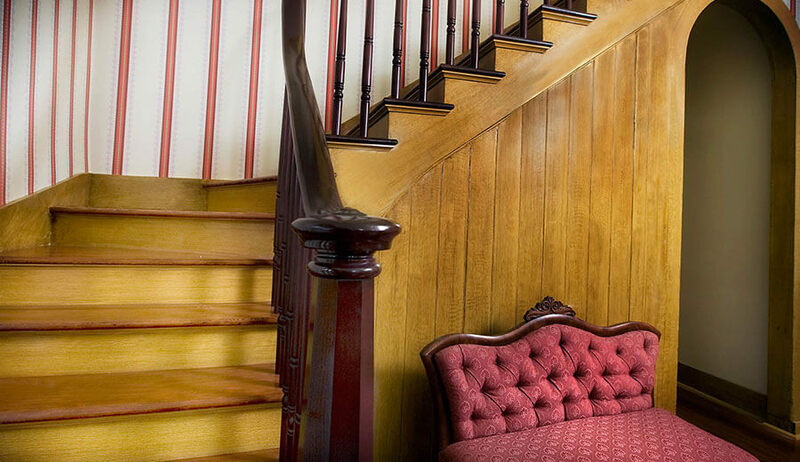 A new elevator was added to serve the second floor for accessibility, and a new stair replicating the original historic stairway was added in its original location. A new kitchen was also added outside of the original building footprint in an area of non-historic significance. The facades of these new additions were consistent with the historic interpretive period.